Present state: The former station building is now a Tourist Information Centre and the signal box has been demolished. Notes: Originally, the branch line from Dalreoch continued through Balloch Central to Balloch Pier. Initially timetables just showed Balloch. 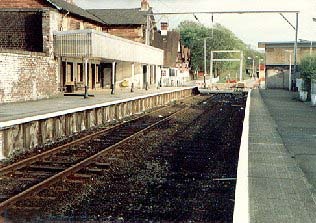 The first specific reference to Balloch Pier was in September 1858 timetable, when mileage's suggest the line had been extended and Pier added. But steamer connections had always been given and it may be that the Pier section was assumed - it was early regular practice not to give town and pier stations separately. 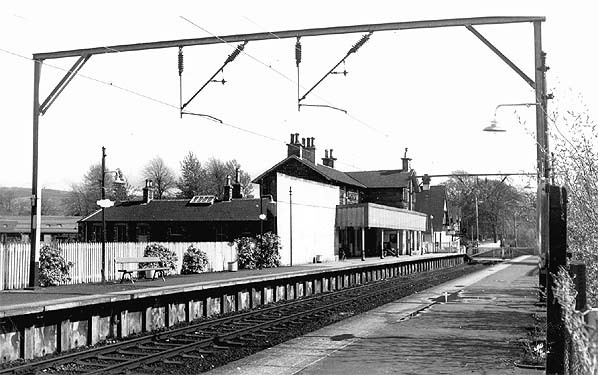 Town Station became Balloch Central on 30.6.1952. It was electrified with the rest of the Glasgow North Bank system in the early 1960's and the steam locomotive shed closed at that time, although there were still (electrified) stabling sidings and a small train crew depot in the station building. If you knew where to look, the concrete turntable pit could still be identified. The goods service was withdrawn on 10.10.1866. 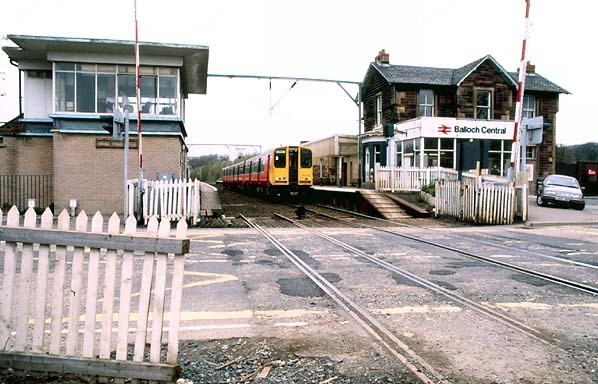 Balloch Pier and Balloch Central closed in the 1980s and a new station, simply called 'Balloch', was opened immediately to the south of the former level crossing which led into Balloch Central.